3D printing has created a huge revolution in all the industries. It had changed the entire outlook of printing and taken it to a level beyond imagination. Scientist, aeronautic engineers, mechanical engineers are doing and benefiting a lot with the use of 3D printers. The application of 3D printing is broadening day by day or minute by minute is hard to say. We have been reading about how architects are using 3D printers for conceptualizing their designs and giving their clients more creativity and clarity. We have also heard building 3D models of the building structures by civil engineers to the extent of making 3D model guns in metal. We have heard and seen it all, but what comes next can’t say beyond belief as 3D Systems and 3Digi Prints has made everything impossible possible. But its use in the fashion world has definitely created a huge stir. Year 2013 had seen its advent in the fashion industry with jewelry companies showcasing their 3D printed jewelry worn by their models; designer show manufacturer “New Balance” printed their whole new range using 3D printers even companies designing sunglasses refused to stay back. What hit the whole fashion industry were 3D printed clothes, California based clothes line “Continuum” was the leading brand to create their website where their clients choose the designs showcased, sent their measurements and body specifications and the brand printed out each exceptional designs using 3D printing technology. These clothes were printed using nylon material. 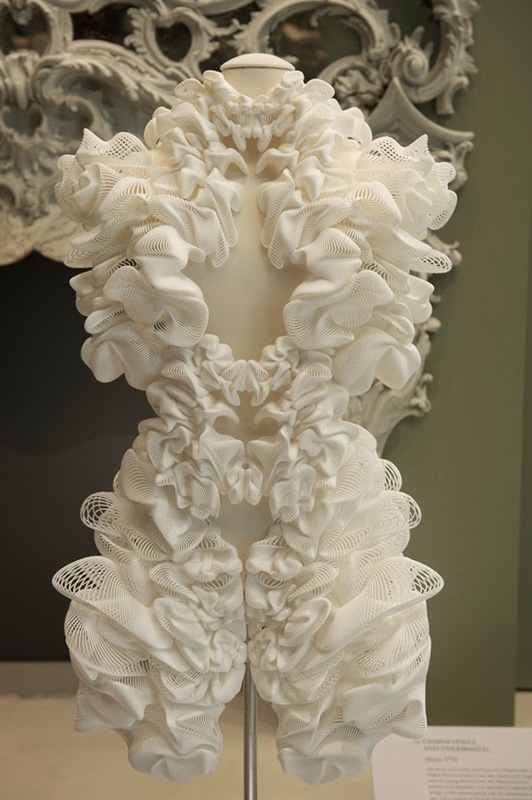 3D printing has created a huge platform for the fashion industry and arisen the levels of creativity. With the help of 3D printing the cost manufacturing has gone down considerably the cost of production has gone down as sewing machines have now been replaced by 3D professional printers from 3Digi Prints. Every designer of the fashion world from the US or Europe even in India is using these new printing technology and creating waves in their creations. Gone are the days when we walked into a social gathering and cribbed about someone else wearing the same outfit, 3d printing has eradicated this huge fashion faux pa by blessing each designer and their clients the flexibility to create exclusivity and uniqueness of their designs. Be it shoes, jewelry, accessories and apparels 3D printing has definitely conquered the fashion industry. Now, how far it will go and how much more it surprises us is a thing to keep a watch on. Needless to say, the age of sewing machines has been successfully replaced by 3D professional printers. Now all I need to hear is a fashion show with models wearing 3D printed clothes and it’s sure to happen in the near future.